MOSTLY BLIND and DEAF and has SEIZURES!!! Fidonation, if you or someone you know is interested in giving this pup the forever family he rightfully deserves, please contact the Carson Shelter - 310-523-9566, and reference the shelter ID #A5174914. 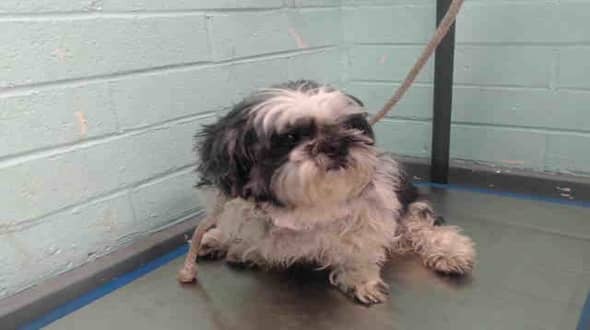 4 Responses to "Jerk owner surrender blind and deaf 15-year-old senior Shih Tzu, cries herself every night"
Please UPDATE, rescued already on 5/7/18. Yes, Please update!! I can be sharing animals that are in need instead of those who have been saved already. I'm glad she was saved. She is precious! !